"The Shed Shop built me a Garage this year in Barrington NH, I was Amazed at how fast 2 Men could get this job done! We look forward to seeing you in the spring for our Screenhouse!
" I wanted to thank you again for building our custom shed, it looks great and we have had plenty of complements! 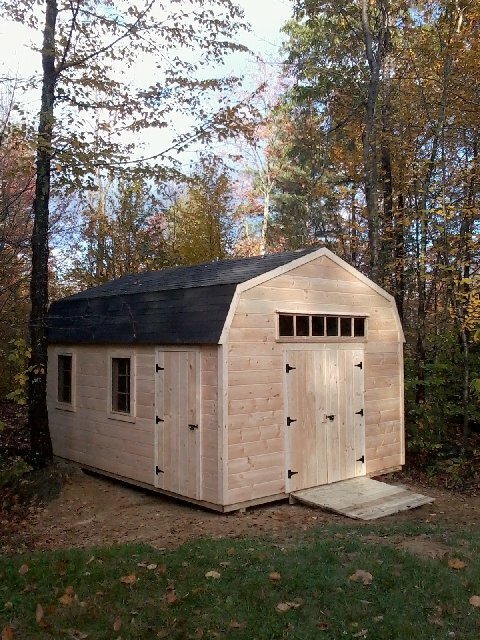 For anyone who is interested in a "Custom" well built shed they should surely consider TheShedShop! All of the building materials were high quality and their craftsmanship shows in the features offered in theyre sheds. We were able to get all of the features we wanted at an affordable price. Reggie and his team are professional, on time and very reliable. their price quoted was accurate and finished on time. Anyone who is considering buying a prefab shed like we were should call TheShedShop first for a quote. 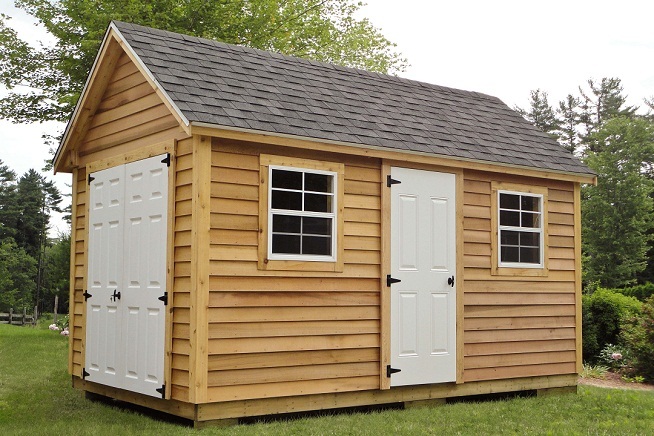 you will get a great deal on a much more quality product that will last with all of the charm of a custom stick built shed." WE TAKE GREAT PRIDE IN WHAT WE DO AND LOVE TO SHOW OFF OUR WORK, AND THERE IS NO BETTER FEELING THEN WHEN WE GET A GOOD RECCOMENDATION FROM A CUSTOMER.....SO WE LIKE TO SHOW THAT OFF TOO!.......WHY NOT?...WE ARE THE BEST IN THE BUSINESS!